With the media reporting an ever growing number of high profile websites being hacked it is clear that protecting your data and identity online is something all businesses and individuals should take seriously. The world of tech and website security might seem like dark art and is surely the responsibility of the IT team however choosing a strong password is a vital element of security which is entirely in your control. Weak passwords and carelessness in the storage and sharing of passwords is very often the the first point of failure when websites and user accounts are compromised. 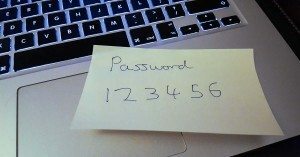 Incredibly research has revealed the word “password” and obvious sequences of numbers such as ‘123456″ are still commonly used as passwords for websites user accounts and social media profiles. Other rather obvious and poor password choices include pet’s names, common dictionary words and dates of birth. Unfortunately, an easy to remember password is more than likely a weak password! For the purposes of this article we will focus on a basic list of requirements which will not fail to produce an incredibly strong password fit for most use cases. Use a combination of alphabetical characters, numeric characters and symbols. Include upper and lower case characters (Passwords are case sensitive). Choose a long password 12 characters or more (Longer passwords are stronger passwords). Choose a random string of characters and avoid dictionary words. How do I remember a hard to guess password? There are house rules here too… Avoid writing it down! 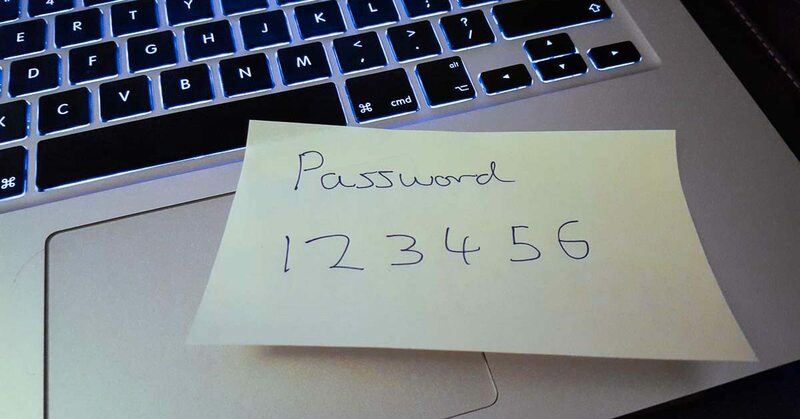 Certainly do not allow staff to stick passwords post it notes around the office. So, it really is simple! if your care about protecting your data and online identity be sure choose a strong password for each and every online account you own. It is the vital key to a secure digital life that is far too often overlooked. If you are running a business you will of course have the greater responsibility of protecting your client’s data and there is no excuse for not asking the IT team to put in place a strong password policy for the entire company. Loss of client’s data really does have some frightening consequences and indeed losing your own identity to fraudsters is not an experience worth having. Your online privacy is worth protecting! Let’s face it… assuming the IT team have done their job in creating a secure infrastructure choosing a weak password is the equivalent to leaving the key under the doormat in front of the castle. Choosing and using strong passwords really does go a very long way to protecting your systems and online data and it is more than worth the extra effort.